I just could not pass up this delightful scene. Add some life to the photo and the story is complete. 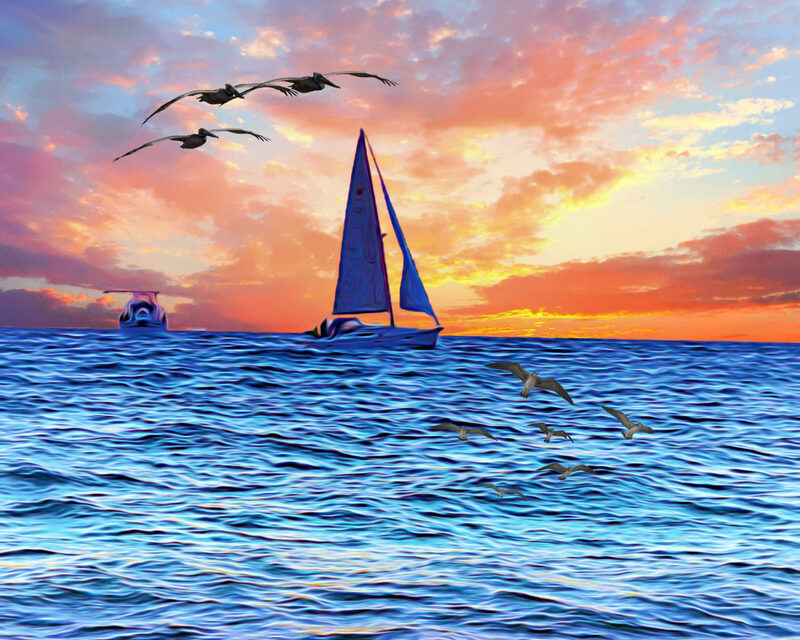 Sailing at Sunset of the waters of coastal California.